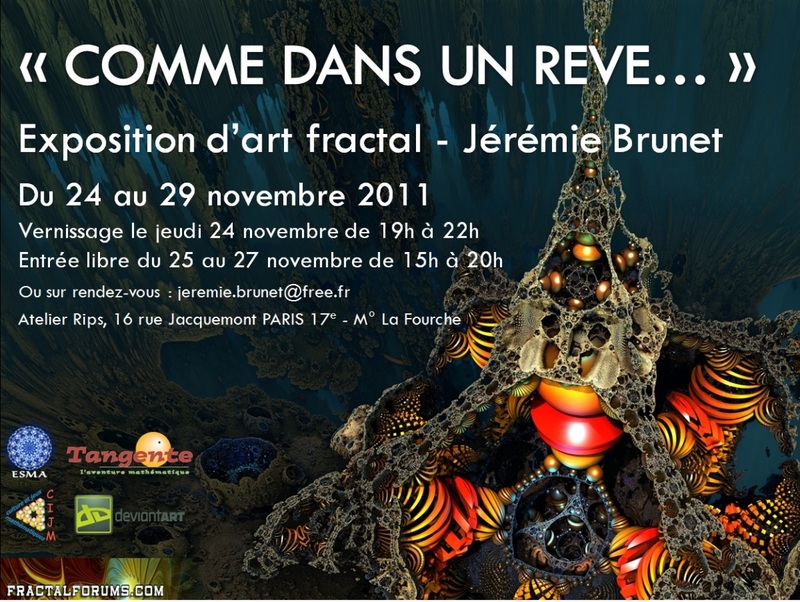 Description: J’ai le plaisir de vous inviter au vernissage de mon exposition d’art fractal 3D, intitulée « Comme dans un rêve… », le jeudi 24 novembre de 19h à 22h. Congratulations! 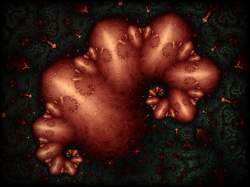 I think its so great that someone is having real world fractal art events! 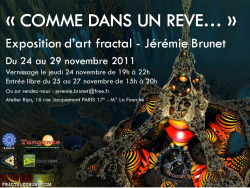 I am pleased to invite you to the opening of my 3D fractal art exhibition, entitled "As in a dream ..." Thursday, November 24th from 19h to 22h. After the success of my first exhibition in January, come and see my latest paintings, including the winner of international contest "Benoit Mandelbrot Fractal Art Contest 2011", my latest book and my DVD of my best videos of fantastic journeys to the land of 3D fractals . Free entry from 25 to 27 November from 15h to 20h. Feel free to ask around!